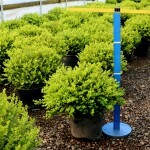 A fast growing dense shrub that retains its dark green color in the winter. The foliage is quite glossy. 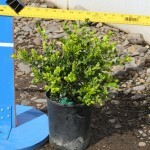 It is excellent as a small hedge, mass planting, or foundation planting. Performs best with regular moisture, and partial to full sun. Prune if needed for form.